This entry was posted on Thursday, September 6th, 2007 at 8:45 pm and is filed under Training. You can follow any responses to this entry through the RSS 2.0 feed. You can leave a response, or trackback from your own site. WOW Jim!! That’s amazing!! I knew you’d been riding a lot, but never dreamed you were riding like this!! You are doing GREAT!! 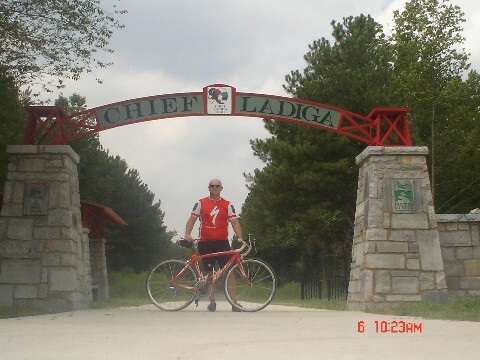 Wanted to mention…the Ladiga Trail runs directly behind my Mom’s house in Weaver. That’s where we grew up…yep, right there in Weaver. That is a super trail. I didn’t realize it goes so far. What a ride! Just keep on keeping on! !